The picturesque Costa Dorada features charming villages along with intriguing history and culture. The beautiful town of Tarragona is worth seeing for its harbour, old district, cathedral, and Roman walls. Costa Dorada has a combination of both modern and traditional amenities, and with a wide selection of bars and nightclubs you can be guaranteed an amazing night life in the Costa Dorada. Beyond the golden sandy beaches and the bars and restaurants you can find a more traditional atmosphere with mountain streams and Roman ruins dating back to the Middle Ages. The region also benefits from pleasant warm temperatures during the summer months and there is an endless choice of entertainment to keep the whole family happy, making it the ideal holiday destination. Salou is the capital of Costa Dorada and a firm favourite of the Irish for many years. It is only a short fight from Ireland to Reus and 20 minutes' transfer to Salou. One of Salou’s biggest attactions is Port Aventura World. Here you will find Port Aventura theme park with all the adventure and thrills of roller coasters. Port Aventuras Caribe Aquatic Park is perfect to enjoy the slides and fun pool with all the family. New for this year is Ferrari Land Park. Live the authentic Ferrari experience in more than 70,000sq m of excitement, adrenaline, and fun. 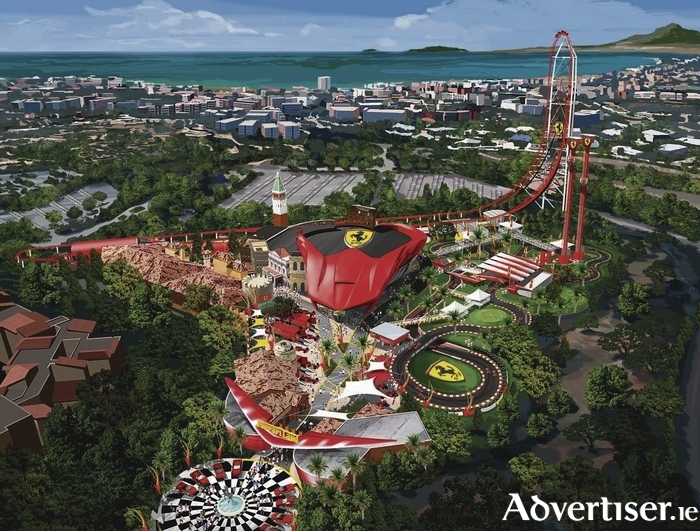 This is a unique theme park in Europe where you can enjoy a thrilling experience with the whole family and discover all the secrets behind the legendary Italian brand and its creator, Enzo Ferrari. Salou really does have something for all the family to enjoy. For more information, call Fahy Travel on 091 594747 or email [email protected].